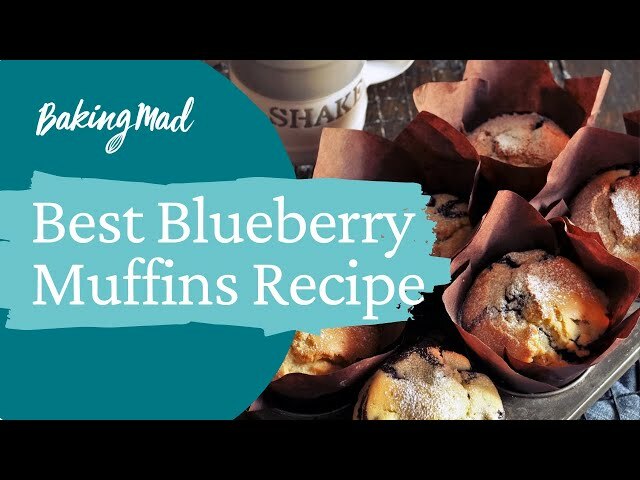 Deliciously moist and bursting with fresh fruit, these easy blueberry muffins are perfect with coffee for breakfast or afternoon tea. Baked in under 1 hour with our easy recipe, you'll make perfect muffins every time. Preheat oven to 150°C (300°F, gas mark 2). Line a muffin tray with 10 muffin papers. In a large mixing bowl beat together the butter, sugar, eggs, milk and vanilla until light and fluffy. Add the flour and baking powder beating well until smooth in consistency.